In theory, employing a drone pilot to survey a site, chart construction progress, or—like in Chad Spear’s case—capture the perfect shot, sounds fantastic. But for Chad, the owner and president of Spearhead Sales and Marketing, that theory became real the moment that Jessica Orange, Sales Consultant at ARC, posted on LinkedIn to spread the word about the launch of ARC’s Drone Services. Spear had a marketing video project coming up in Columbus, Ohio. So he called Orange immediately with questions about pricing. After hearing about the affordable rates, Spear put Jessica in contact with his creative director, Diana Evans. Given that Spearhead had never employed a drone pilot before—and they were creating this video for a client—Evans wanted to be prepared, so she had plenty of questions. With help from Brian Markland, regional manager of Professional Services, Orange presented the process and discussed the parameters of Spearhead’s project. Orange and Markland assured Evans that she could be onsite the day of the shoot so she could ensure she got the shots her client needed. Also, at Evans’s request, Orange set up a meeting with the drone pilot before the day of the shoot so Evans could express the parameters of the project directly to him. After the final pre-flight meeting, Evans felt secure knowing that Markland, Orange, and the pilot understood what she needed. Then, on the originally planned date, weather threatened Spearhead’s first flight. With a quick pivot, ARC had the date and time changed. The flight went off without a hitch. With the exact shots they needed, Evans and Spearhead Sales and Marketing were thrilled to offer the stunning visuals they’d produced to their client. For now, Spearhead’s only office is in Indiana. But thanks to ARC’s Drone Services, that doesn’t mean they can’t have access to drone pilots in Columbus, Ohio to shoot the unique videos their clients need. And that’s the power of ARC’s footprint in the sky. With Drone Services available all across the country, ARC puts construction drone photography in convenient and affordable reach for businesses of all sizes. Request a quote for your next project. 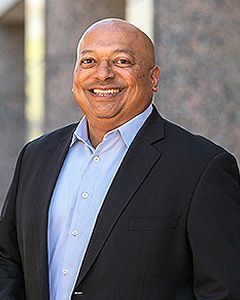 As Vice President of ARC Technology Solutions, Kumar drives technological innovation aimed at improving information management throughout the building lifecycle. With over 20 years of experience leading a variety of teams within ARC, Kumar ensures that our customers receive maximum value from our portfolio of service offerings.